Slashed Beauty: Miranda takes us through her updated hair routine, with tips on curly hair care! TheFabZilla: Lipstick Files: Kathryne investigates Giorgio Armani Rouge Ecstasy Orchid 505, Rouge d'Armani Sheers Plum 604, Rouge d'Armani Sheers Pink 503. Love or leave? Endlessummer Blog: Adventuress - skin care that takes on the elements. Lola's Secret Beauty Blog: TATCHA Indigo Soothing Silk Hand Cream and Soothing Silk Body Butter are absolutely divine, and now are available in travel sizes. Color Me So Crazy: Gems, Jewels and RED for #RedCoatTuesday. Join in!! daydreaming beauty: Amber's new favorite palette is Tarte's Rainforest After Dark palette! Come see why! beautyXposÃ©: Made of top-of-the-line Remy hair, Irresistible Me hair extensions let you add length to your locks in a snap! Geniabeme: You can now build your own Birchbox at their NYC store! BeautyTidbits: Enter to Win the new Total Beauty All About Hair Collection worth $95! 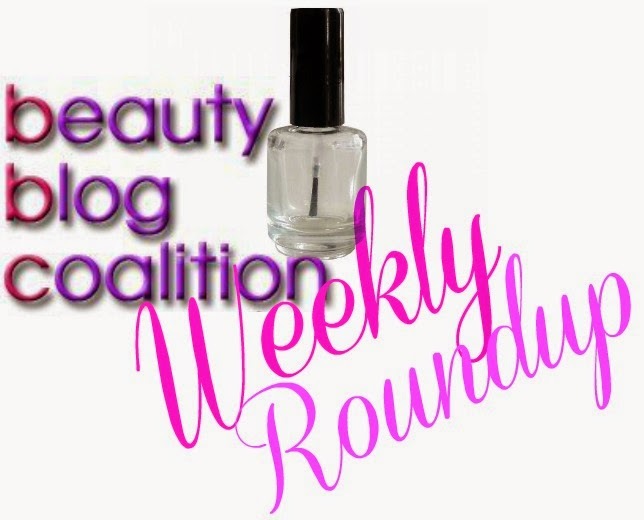 Lipgloss Break: Lipgloss Break Reviews and Swatches CND Shellac Pink Bikini & Lobster Roll. Be Happy And Buy Polish: If you're looking to spice up your manicure, try an OPI Sheer Tint like Jessica did this week.